Military.com is pleased to be supporting USAA's efforts to smooth the veteran transition process. Military.com recently interviewed USAA's Military Relations Director, Maggie Hahn, about USAA's in-house Veteran Mentor Program. Their Enterprise Sponsorship Program is considered to be 'best practice' nationally. The program will be highlighted at JP Morgan Chase's October Veteran's Job Mission meeting in Phoenix, AZ, where Military.com will serve as a resource for the 200+ companies showcasing their veteran hiring initiatives. The interview regarding USAA's onboarding and retention program was conducted by Military.com's Liz McLean, Program Director, Veteran Employment. Liz McLean: What is the Enterprise Veteran Sponsorship Program ? Maggie Hahn: Do you remember what it was like when you took off your uniform and put on civilian clothes for the first time and walked into a corporate environment? Wouldn't it have been nice to have someone to assist with the settling in process, share with you things you needed to know to make that transition a bit smoother, someone to ask a question, share advice or even how to get connected with other veterans? Our Veteran Employee Resource Group at USAA (VETNet) is thrilled to partner with our Talent Acquisition Team to bring the enterprise the Veteran Sponsorship Program (VSP) to life for all new hire veterans who have separated or retired within 2 years and USAA is their first corporate environment. Our veteran network has a tremendous opportunity to bring significant energy to the veteran population, focusing on the retention of the fabulous talent we have walking in our halls. Who better to walk someone through the transition process than someone who has already done so successfully? Liz: What is the goal of a VSP Sponsor? Maggie: To ensure a positive first impression of USAA and an understanding of USAA's culture. To ensure a successful transition by providing accurate and realistic expectations and awareness of helpful resources. 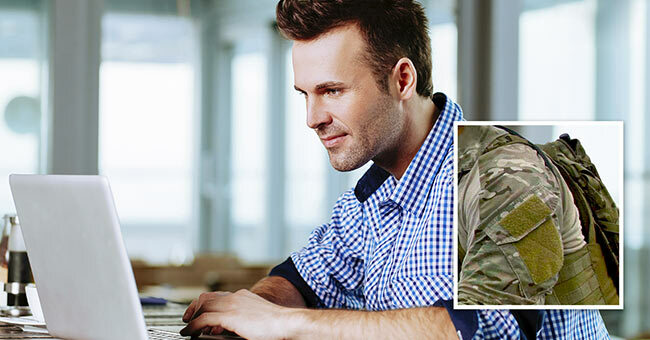 To ensure the transitioning veteran feels like they have a best friend at work from day one. Liz: Whose idea (or from what department) did this originate from? Maggie: Our HR Talent Team Approached VETNet to see if we would be able to manage a sponsorship initiative. A similar, but not all-inclusive effort, was being run in a specific line of business which left out many areas of the enterprise. Creating an enterprise focus allowed us to be inclusive for every veteran. Liz: How does this program represent best practices? Maggie: There has been a huge effort in the hiring space for the veteran population; however, not as much effort has been placed on retaining veterans in the organizations they are hired into. VETNet's "tag line" reads "Your Service Continues" and it truly does. Just because you took off the uniform does not mean your service needs to end. We need our veterans to stay involved in the USAA mission by ensuring we as a company stay focused on who we serve each and every day. We don't take that responsibility lightly, and [we want to] ensure we are looked at as Subject Matter Experts when it comes to all things military. Sponsoring new veterans working through the transition terrain is exactly what our sponsors are most excited about, sharing how they did it. It's amazing to hear almost every sponsor say, "I wish I had something like this when I came on board." Liz: Where do you envision this going in a few months from now? A year? Long-term? Maggie: We are in our pilot year, started in the second quarter this year. I will have more data to share end of March 2017. In the meantime, I do envision this program growing to be a larger and more robust effort, reaching all veterans not just the ones starting their first corporate career. I also see this potentially growing into the military spouse space as well, currently we have monthly spouse meetings covering military life events and topics; however having a go to person would be fantastic. Liz: Why do you feel it is something that Military.com should highlight? Maggie: This is in USAA's DNA, VSP represents a natural extension of our dedication to the military community. We not only serve the external military community, we also serve our own.